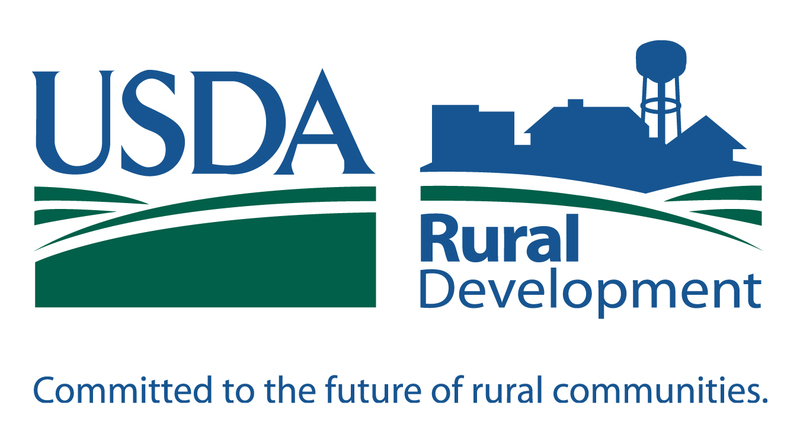 The USDA recently announced a new round of loan financing for the Rural Broadband Loan and Loan Guarantee Program as authorized by the 2014 Farm Bill. The loans are administered by the Rural Utility Service (RUS), a part of USDA. The loans are available to bring or improve broadband in areas where at least 15% of the households do not have broadband today. The loans can be used to build technologies that are as slow as the old FCC definition of broadband – 4 Mbps download and 1 Mbps upload, although the RUS will strongly encourage building technology capable of meeting the new broadband definition of 25 Mbps down and 3 Mbps up. The projects can range between $100,000 and $20 million. Slow Response Time. I don’t know what the current backlog is, but there have been times over the last five years when a loan application might wait 18 months or more for a decision from the RUS. Those kinds of wait times might have been acceptable back in the days of all-regulated telephony, when companies worked slowly on five and ten year capital plans. But the world has gotten more competitive for everybody and nobody is willing to wait that long for a yes or no answer on a major capital program. Paperwork. The loans take a lot of paperwork. The application itself is like writing a book and my firm has historically charged up to $20k for writing one of these applications – it’s that much work. And the paperwork doesn’t stop with the application. Once you’ve taken the loan there is major annual compliance paperwork that can overwhelm the staff of smaller borrowers. Engineering. The loan applications for larger projects must be signed by a professional engineer, and this means that projects must be nearly fully engineered just to apply for funding. That differs from the rest of the industry where projects typically are done with ‘pre-engineering,’ which means that an engineer has made a very good estimate of the cost of the project, and in my experience those pre-engineered estimates are usually pretty reliable. Extra Costs. Sometimes the loans require extra steps that are not required for other financing. For example, I’ve seen federally-funded loans require an expensive environmental study. Nobody else ever does this because fiber is almost always built into existing public rights-of-way, which by definition have already been cleared for these purposes. Depending on the size of the loan there can also be some kind of customer survey required. Mostly Still for Regulated LECs. Most of the loans still go to regulated telephone companies for a variety of reasons. For instance, the projects usually require 10% to 20% equity from the borrower and also first lien against the assets built with the loan. These requirements have largely stopped government entities from using these loans. Another issue that these loans entail is that they have loan covenants that can be burdensome. As an example, there might be limits on dividends that can be paid to company owners while one of these loans is outstanding. Rates are Not that Attractive. There have been times in the past when the RUS interest rates were significantly lower than commercial bank rates and thus were very attractive. But with today’s low interest rates there is currently not a lot of difference between the government rates and commercial rates. By the time you factor in all of the extra costs of applying for and complying with these loans, the RUS loans might be more expensive. At times in recent years the RUS has built up billions of uncommitted funds because not enough borrowers have been interested in the money. Over the last decade I have helped more clients refinance RUS loans with other lenders than I have helped people get new RUS loans. I’ve read other articles that say that the RUS is too conservative. That may or may not be true, because for the carriers I know it’s generally one or more of the above factors that have turned them off government money. I don’t want to sound like I am trashing the program, because RUS loans have helped to fund many worthwhile projects. But a lender needs to weigh all of their options and consider all of the costs of borrowing money from different sources. Borrowing money is about a whole lot more than just the interest rate and you need to take all of the other aspects of any loan into consideration. Good analysis, Doug. Another shortcoming is the very brief application window to assemble all of this info — 60 days in the latest round. The RUS is essentially geared toward incumbents and the old POTs infrastructure, tweaked to incorporate “broadband.” But a far more robust federal program is needed and arguably a crash program given that the United States is now two decades behind where it should be relative to transitioning from the metallic cable systems of the telephone and cable TV era to fiber optic infrastructure necessary to support IP-based telecommunications in the 21st century. You are right about that. If a project has not already been designed and engineered then you’ll never make that deadline. But to give the RUS some credit, the folks who would make this kind of applications have known this was coming for a while. But the bigger issue, as you point out, would be to change the rules to make these loans more usable.